Hi everybody! I am Igor Smirnov, International Grandmaster and a chess coach. This is the lesson “Finding the Best Moves; Quickly”. Chess players often tell me that they can find the correct moves during home analysis, but they can’t find them during practical game play. If given enough time these players can find the best move. The problem however, is that in a real game you have to move quite quickly or risk losing on time. Different chess educational materials provide varying information on chess: rules, principles, ideas and so on. On the one hand this information can be very useful. Unfortunately this can make your task even harder, because you need to think about so many different things in such a short time frame. On average you have only about three minutes per move. Maybe less. This brings us to my next point; it is not enough to have basic fundamental chess knowledge. You should know how to apply this knowledge quickly. As I am sure you are aware, strong players know some practical methods of how to do this. In this lesson I would like to share some of these conservation methods with you. Let’s go ahead and get started. First of all, you should plan to budget your time prior to the beginning of a game. Maybe this seems obvious to you. Then I have a question for you: “How long you should think about every move when you have 2 hours for a game?” “What about a 30 minute game or a blitz game?” Can you give me a concrete answer? If you are unsure, let’s think about it together. An average game consists of approximately 40 moves. Of course it can be much longer or shorter, but we are talking about an average. Therefore if you have 2 hours for a whole game, it is 120minutes/40moves=3 minutes per one move. The standard time control 90 minutes+30 seconds per move gives you approximately 3 minutes per move also. So you can easily figure out how long you should think about every single move in a certain game. Of course this is only an approximate rule; however, it gives you a guideline. Let’s go to the next principle. You should know when to think during a practical game, and when to make moves quickly. There are 4 principles to think about. 1. In the opening you should play quickly. The opening is the easiest stage of a game really. As I hope you know, in this stage you mainly need to develop pieces. You should simply realize 3 main tasks of the opening. If you studied my course "The Grandmaster's Secrets", you should know what I am talking about. We may conclude that in the opening you should play quickly and save your time in case complications arise at the later stages of the game. It is better to make a few superficial moves in an opening, than to blunder late in the middlegame in time trouble. 2. At the end of the opening you should take some time to think and compose a plan. Most chess players have heard this, however, often they don’t follow this advice. The bottom line is this: if you have a concrete plan, you will make the following moves quickly. If you haven’t got a plan, then you have to think for a long time about every move. Beliavsky A. 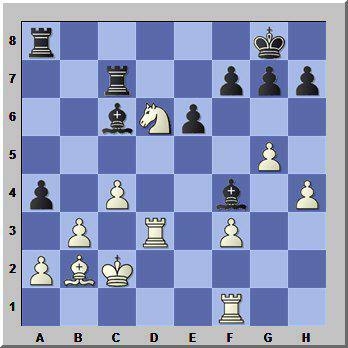 – Lutz C.
White: Kg1, Qd4, Ra1, Rd1, Bg2, Bc1, pawns: a2, b2, c4, e4, f2, g3, h2. 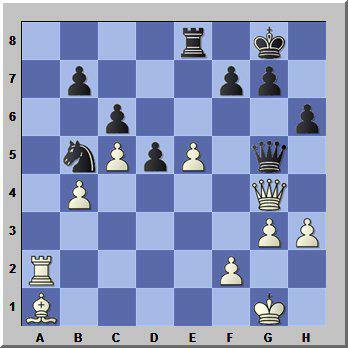 Black: Kg8, Qd8, Ra8, Rf8, Bb7, Be7, pawns: a7, b6, d6, e6, f7, g7, h7. Now it is time for white to think of and compose a middlegame plan. White’s plan here is to attack the “d6” weakness. Thus white needs to double rooks on the “d” file and put his bishop on this diagonal (a3-f8). Maybe it will take some time to compose the plan initially, once you have the plan though you will then make a lot of moves quickly. This method is very effective practically. In the game there followed: 15.a4-Qc7 16.Ra2-Bc6 17.b3-Rfd8 18.Ba3-Rd7 19.Rad2. White got a better position and in the end won the game. 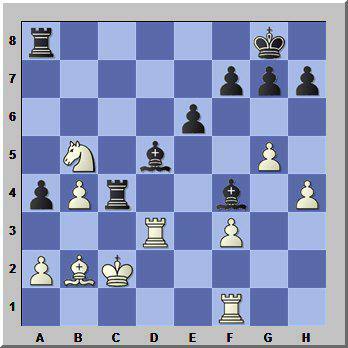 Geller E. – Fischer R.
White: Kg1, Qd1, Ra1, Rf1, Be2, Be3, Nb3, pawns: a5, b2, c2, d5, f2, g2, h2. 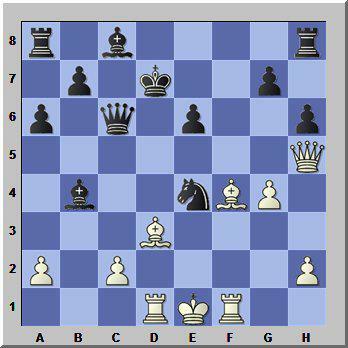 Black: Kg8, Qc7, Ra8, Rf8, Be7, Bf5, Nd7, pawns: a6, b7, d6, e5, f7, g7, h7. It is the end of the opening stage and here white should compose a plan. White has a pawn majority on the queen-side and a “c” pawn without a counterpart. So White’s plan is to realize these positional advantages. I am not saying that you should make such moves without any consideration. However, it will be much easier for you to find a good move quickly, if you focus the attention solely on the realization of your plan. 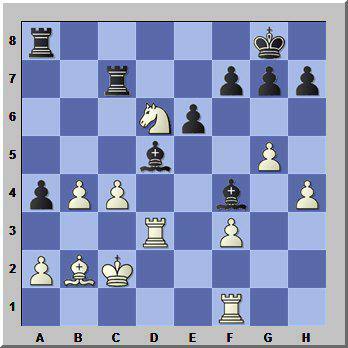 The game continued 18…Bd6 19.Rfd1 and in the end white was able to utilize his passed pawns in the center. It is important to take note of the idea that you not only could, but you should play quickly after you have composed a plan. You need to compensate the time that you have spent on a composing the plan initially. 3. You should calculate variations in tactical positions, and think in general in strategic positions. Therefore you should focus your attention on calculation only in tactical positions. What do I mean with “a tactical position”? Let’s look at a concrete example. Stopa J. – Smirnov I. 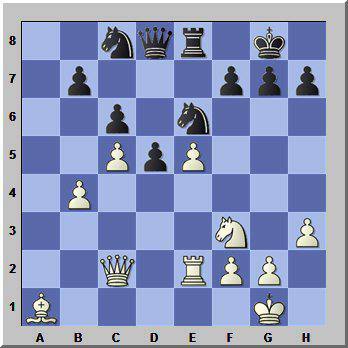 White: Kg1, Qc2, Re2, Ba1, Nf3, pawns: b4, c5, e5, f2, g2, h3. 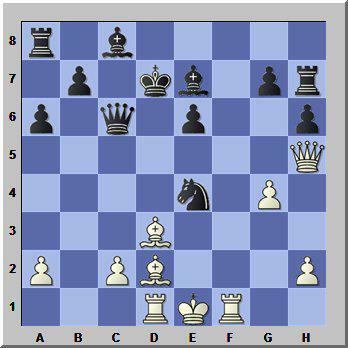 Black: Kg8, Qd8, Re8, Nc8, Ne6, pawns: b7, c6, d5, f7, g7, h7. This position is quite calm and simple. There are no forcing lines or tactical variations here. Thus it is rather strategic position and black should think here about general motifs: plans, maneuvers and so on. Black played 23…Na7 24.Qd1-Nb5 25.Ra2-h6 26.g3. These moves didn’t require calculation. There was no reason for black to calculate anything. Here is the rule: you should start calculating, when there is contact between your pieces and your opponent’s pieces; or when you are going to try and create such contact. In the game black played 26…Ng5. This move creates contact between the knights and it means that this situation requires calculation. 27.Nxg5-Qxg5 28.Qg4. Here is another tactical position. So black should focus his attention mainly on calculation and should not think much about general ideas or plans. 28…Qc1+ 29.Kg2-Qc4. When you can see that the pieces attack each other, or when someone makes forcing moves, then you can realize that it is definitely a tactical situation. Black is going to attack with Rb3 and the position is going to remain tactical. Black won this game pretty soon thereafter. We have spent a good amount of time talking about FOCUS. In any position you should calculate variations and think about general principles. I am just saying that you should focus most of your attention only on one of these things, depending on the type of position you have in front of you. Here is the next rule. 4. When you feel that your position can become winning or losing, you should take as much time as you need. 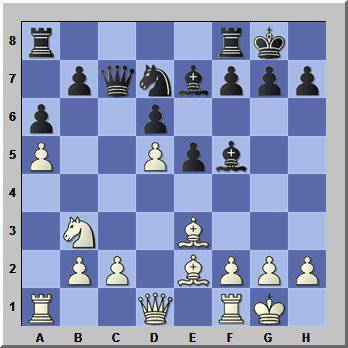 White: Ke1, Qh5, Rf1, Rd1, Bd2, Bd3, pawns: a2, c2, g4, h2. 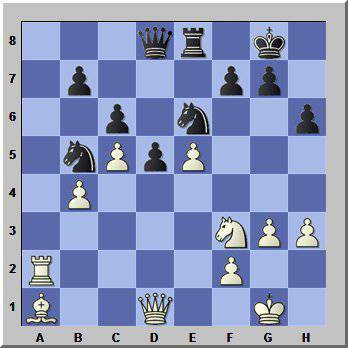 Black: Kd7, Qc6, Rh7, Ra8, Bc8, Be7, Ne4, pawns: h6, g7, e6, b7, a6. It is black’s turn now. The position is very sharp: black has an extra piece, while white is attacking. Now is the critical moment for black: if he is able to defend successfully, he will win; if black doesn’t find a good way to defend, then he will lose; quickly. So time doesn’t matter too much here. Black should think as long as he needs to find the best defensive move. In the game black really did the best move 22…Rh8 and he got the winning position just after the next moves 23.Bf4-Bb4. Now white can’t play 24.Ke2 because of 24…Nc3 fork, and black is winning. By the way, at the starting position of this example the move 22…Rh8 was really the only way for black to play for a win. Thus black was obliged to find it, spending as much time as necessary. These were some ideas about time conservation during a practical game. During this video I’ve given you some useful tools. If you want to apply them in your games, you should draw attention to the time aspect. You should control your time, while playing a game. It is very important. Chess players often underestimate how long have they thought about a move. Players usually pay attention on the clock only when they feel they are running out of time. However, at this point it is already too late. If you control your time constantly, you will never find yourself in time trouble. There are 2 more practical recommendations, which will help you to save time. 1. How long you have thought about your last move. At the beginning of the lesson we discussed that you need to plan an average time spending for a single move. So when you look at the clock, you should detect whether your last move took too much time or not. 2. Compare your time indication with your opponent’s time. It is extremely important not to spend more time than your opponent. If both you and your opponent are in a time trouble – that’s OK. You are still in the same situation. A really unacceptable situation is when you are in a time trouble, while your opponent has enough time. This is a very difficult situation. That’s why sometimes you may think for a long time, but not longer than your opponent. It is very important practical rule. Also I would like to recommend that you use your opponent’s time. This seems obvious, but a lot of chess players still walk around, while their opponents are thinking. I gave you quite a lot of recommendations regarding effective time management. If you use it in your practice, you will never be in a time trouble. However, what if you suddenly appear in a time trouble? What should you do then? Here I also have some recommendations for you. Exchange pawns and pieces to make it simpler. This will reduce your chances for a blunder. 2. Don’t start tactical complications. It is similar with the previous item. 3. Accumulate some time before starting complications. Maybe this recommendation is not so clear to you. Let’s look at a concrete example. 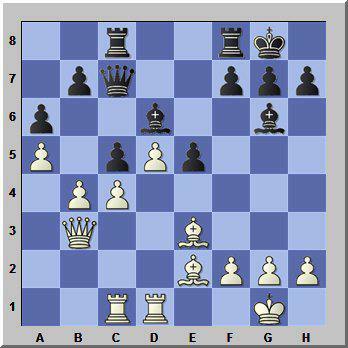 Wright C – Wood D.
White: Kc2, Rd3, Rf1, Bb2, Nd6, pawns: a2, b3, c4, f3, g5, h4. 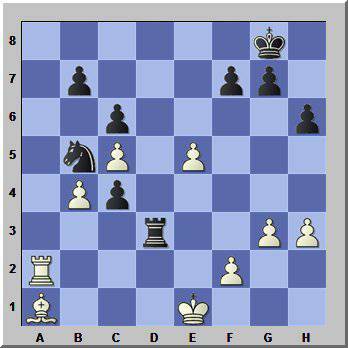 Black: Kg8, Ra8, Rc7, Bf4, Bc6, pawns: a4, e6, f7, g7, h7. White certainly has a huge advantage: he is a pawn up and has 2 connected passed pawns on the queen-side. The only problem for white was that he was down on time. What should a player do in such situation? By the way it is important to note that the time control was 90 minutes+30 seconds per move. white should quickly make moves, which doesn’t change anything. Finally white will collect a few extra minutes, getting 30 seconds for every move. Only then white may start realizing his plan. However, in the game white decided to realize his plan immediately, so he played 38.b4. Black suddenly responded 38…Bd5. The situation became very complex and of course it was hard for white to calculate the variations properly due to the time lack. If white had a few extra minutes, he would probably find the move 39.Rc3. Which saves the advantage. Since white hadn’t enough time, he played 39.Nb5 and got a losing position after 39…Rxc4. This example shows how it is important to accumulate time before stating complications. Let’s look again at these recommendations to remember them better. If you follow these 3 simple recommendations, you will play well even in a time trouble. Now you know how to manage your time effectively during a practical game. So it is time to practice these ideas! Do it and enjoy your success. Thanks for your attention! Talk to you soon in the next lessons, bye!